To use apple cider vinegar to lose weight, take 1 to 2 tsp. mixed with an 8 oz. glass of water before eating each meal. You may also add 1 or 2 tsp. of pure honey to the drink for a less acidic taste. Apple cider vinegar is not meant to drop excess weight rapidly, but rather assist in losing weight slowly and gradually. The acetic acid found in apple cider vinegar increases your metabolism. This can cause your body to burn more calories, leading to weight loss. 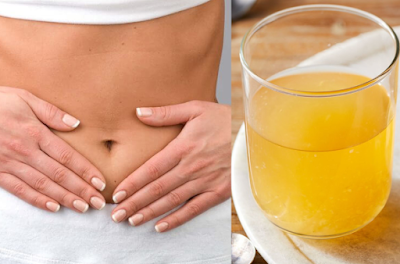 Amino acids found in apple cider vinegar also help to suppress the appetite, as well as improve digestion. Finally, potassium found in the vinegar counteracts the effects of sodium, reducing the amount of water you retain. Cinnamon may be used in its natural form or as supplements. Health benefits from cinnamon include boosting the immune system, losing weight, improving heart health and skin appearance. Cinnamon helps to maintain existing levels of healthy cholesterol, while effectively lowering harmful levels. Used as a weight-loss supplement, cinnamon is thought to be a thermogenic, which means that it increases internal body heat, thus speeding up the metabolism. Once the metabolism increases, extra calories are burned through the thermogenic process, resulting in weight loss over time when combined with a healthy diet and exercise program. Cinnamon is also helpful against fighting obesity, because it helps to stabilize blood sugar levels and reduce the effects of insulin resistance. To create a cinnamon drink for daily weight loss, combine 1 tsp. of cinnamon powder or two sticks with a glass of room-temperature water and an optional 1 tsp. of honey. Drink it first thing in the morning, before breakfast and at night before bed each day. Honey is a natural sweetener that contains cancer-fighting antioxidants and helps soothe digestion.